There’s one good thing to come out of the richest man in the world’s divorce, and that is a starring role on the hit reality show! While the workers of Amazon will likely see no benefit from Bezos losing half his money, the important thing is that white middle-class America feels victorious watching the billionaire get kicked in the pants. The country can agree that his soon-to-be ex-wife has earned all $69 billion she is about to get, and for those not working at Amazon, the drama is swift justice and a perfect big-bad-boss-gets-it-handed-to-him story. But just to keep people paying attention to Bezos’ personal life and not the fact that his humiliation does not actually help his workers at all, the ideal plan of action is to ensure white middle-class American housewives never stop talking about him. 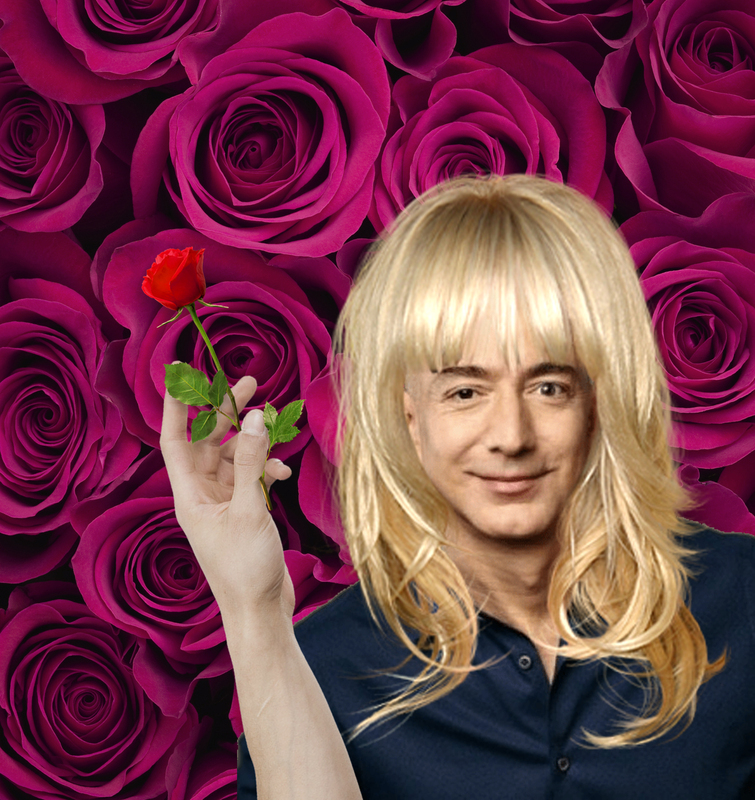 So good thing Jeff Bezos will be the next Bachelor. That is right. Jeff BAEzos is coming to TV. He fits the Bachelor bill perfectly. He has the smile, the money and the lack of personality in any sense of the word. He has charm without needing people skills and, more importantly, the ability to look at dozens of people as assets and decide which ones are worth keeping. Now there is a drawback to this decision. He has a bald head. He has no hair. I mean, the man is an egg. But that can be easily fixed! The show has no problem with people augmenting their appearances to validate beauty standards, so Bezos can just wear a toupee. If a contestant can fake an Australian accent without the show batting an eye, then Bezos can pretend to have hair. Not to mention the girls would all look the other way. Bezos probably has the most famous shiny noggin around, so they would all know what they were getting themselves into. The other drawback is that no one cares about the Bachelor except during the beginning and the end of the show, and keeping toxic gossip in front of discourse on social issues could be a problem in the living rooms of soccer moms the nation over. And so, just to spice things up, the dates have to be extra extravagant. Perhaps Bezos and his date can skinny dip in a pool filled with the tears of the proletariat. Or even better, enjoy a romantic evening by a bonfire of the cash Bezos made from not giving Amazon employees decent benefits! Imagine the final moment where Jeff Bezos can choose his bride to be, and Tiffany/Kourtnee/Maddiesyn/Cala-Lily can be the next Mrs. Bezos. The ring will be worth millions. The marital promise will be many times more sincere than your average proposal on “The Bachelor” and therefore still be meaningless. The world will be in tears at the perfect love story — until the two break up two weeks later, because duh. The important thing is that middle-class America can enjoy Bezos’ misery without anybody actually benefiting from it other than his ex and soon-to-be exes, who will likely not give any more of that money over to any Amazon employees than Jeff did. Of course, this cannot last forever. But rest assured, after the Bezos scandal is good and forgotten, the world will be ready for the next Bachelorette: Alexa.